Hi Guys! Happy New Year! I can’t believe I haven’t been on here updating you all on anything since Christmas. Sorry! It’s been a whirlwind month. I literally have 3 posts started, and unfinished, floating around wherever unpublished blog posts float around in cyberspace, you guys. It’s felt utterly impossible to complete a single task this month. That sounds dramatic, but it’s true. Mira turned one on the 9th and we were planning to have a little party for her, but a couple of nights before, Aubrey started with a stomach bug. And being the kind people that we are, we weren’t about to squeeze in a birthday party while our other littles could be incubating it too. Fortunately, it wasn’t a terrible one and Michael and I managed to avoid it. We both felt a little off for a day, but no puking (hallelujah for oil of oregano). So, we cancelled the party, took the next week to catch up on all of the things that we’d fallen behind on the week before, and rescheduled for tonight, actually. And then, Aubrey and Jenna came down with colds this week! My gosh, guys. Winter in New England. This momma needs some sunshine in her life, stat. Fortunately, I made a big batch of elderberry syrup last week, and it seems to be helping. Jenna and Aubrey are on the mend, the rest of us are still healthy, and I’m praying it stays that way! I did manage to redecorate the house, and I can’t wait to share the changes with all of you. I got the sweetest message from someone who follows me on instagram this week asking about how to decorate for winter. She said she’s put all of her Christmas decorations away, but isn’t ready to really head right in to spring and was wondering if I had any tips for her. I shared a couple of things with her, and promised I’d get a blog post up ASAP with more. 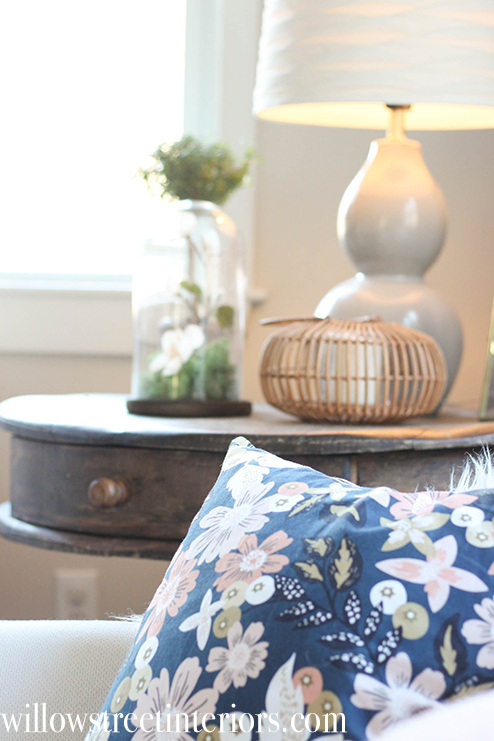 I can’t wait to share how I go about decorating for these cold months leading up to spring, without it looking Christmassy, of course. I’ll be finishing that post up soon, so check back! 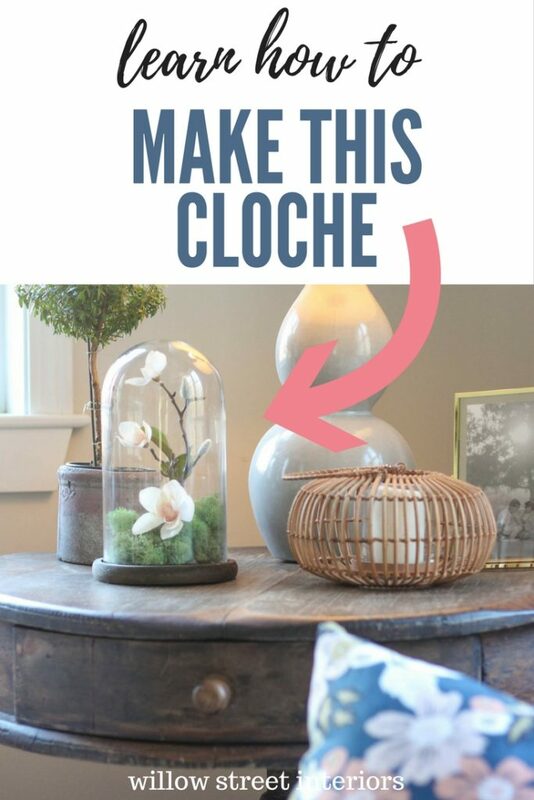 Tonight, I wanted to pop on and quickly share with you how I made this pretty cloche arrangement. 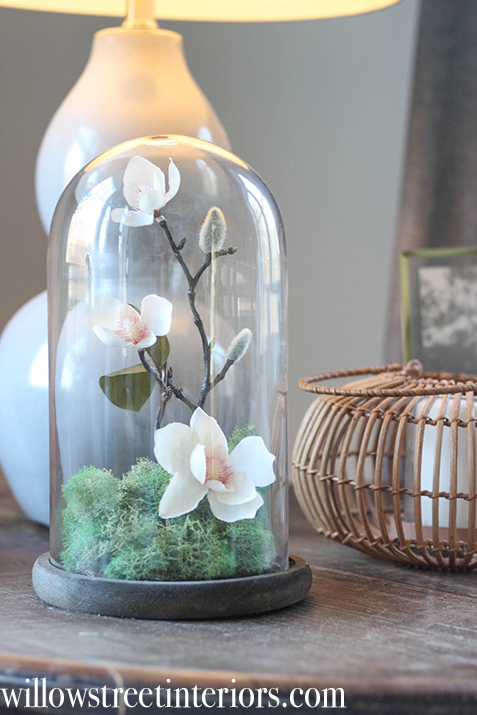 ‘Cloche’ is actually a french word meaning ‘bell,’ which is why these are also referred to as bell jars. 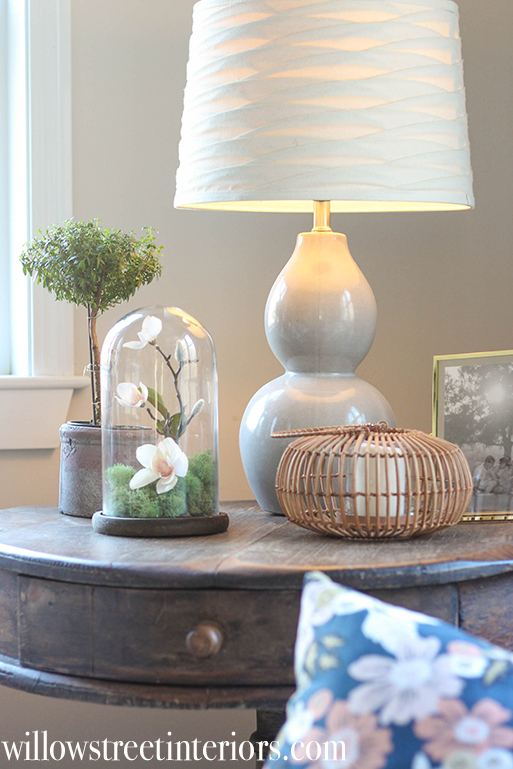 Historically, cloches were used to force bulbs or to protect outdoor plants from frost, but they’ve also become super popular as indoor accessories over the last decade or so too. I have quite a few of them, and I use them in lots of ways. Over cake stands to cover treats, I even put my nativity scene underneath one at Christmas the last few years. They have the potential to elevate a look, and make beautiful objects look even more special. 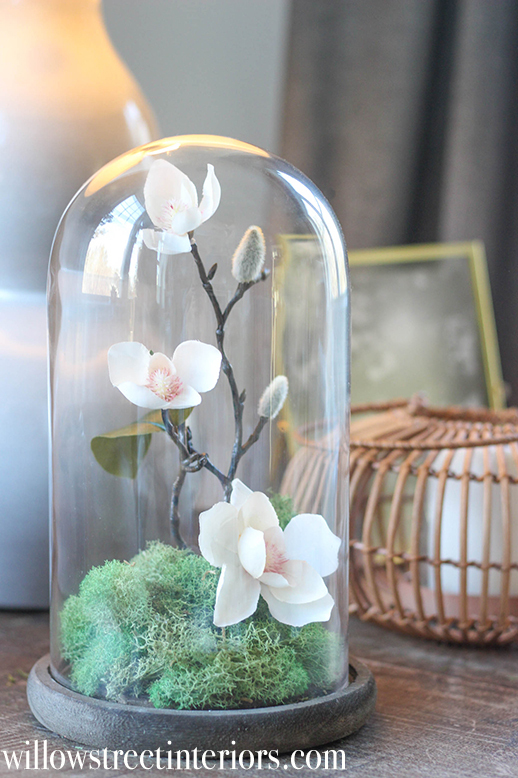 But anyway, let me show you how I made this pretty cloche arrangement! 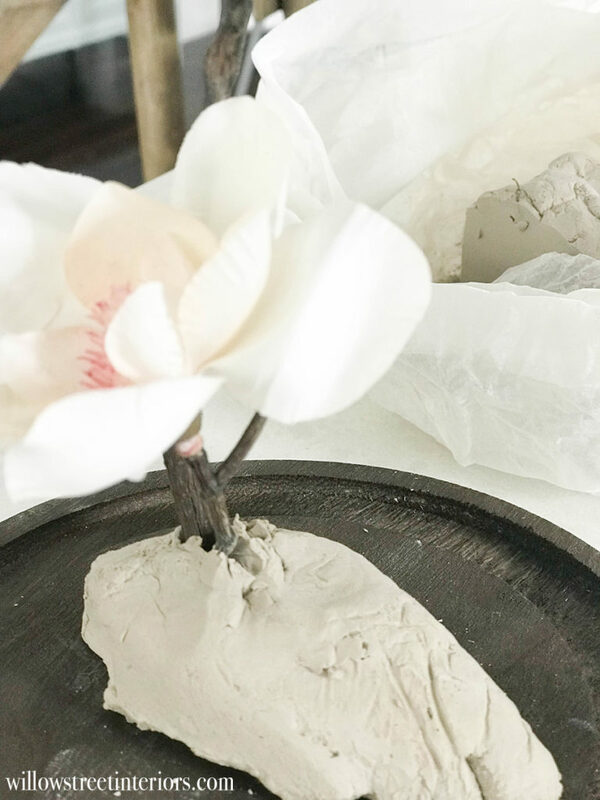 This tutorial is so easy, it’s almost embarrassing, but I love the end result! You ready? Pay attention or you might miss it – this is the simplest tutorial, ever. I then pulled off a wad of modeling clay from my girls big block. We’ve had it forever, but I believe we ordered it on Amazon. 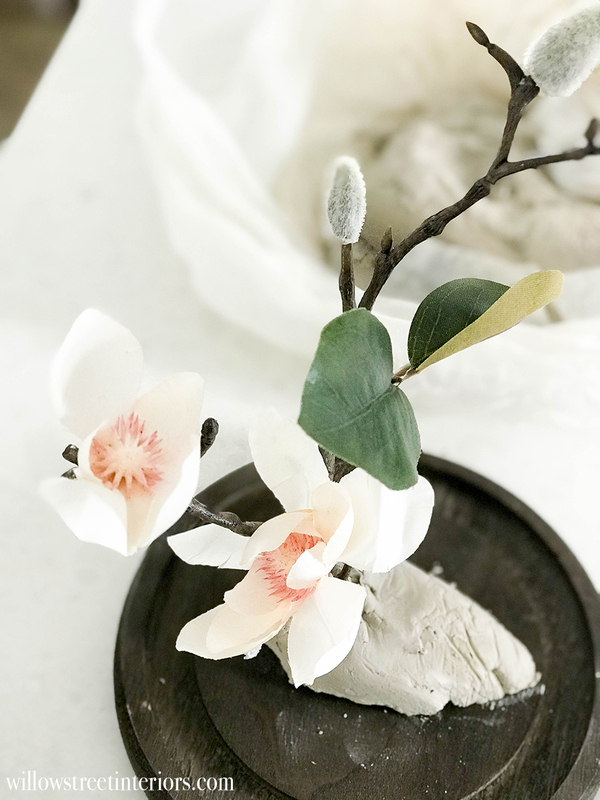 Center the clay on the cloche base, and stick your flowering branch in it. 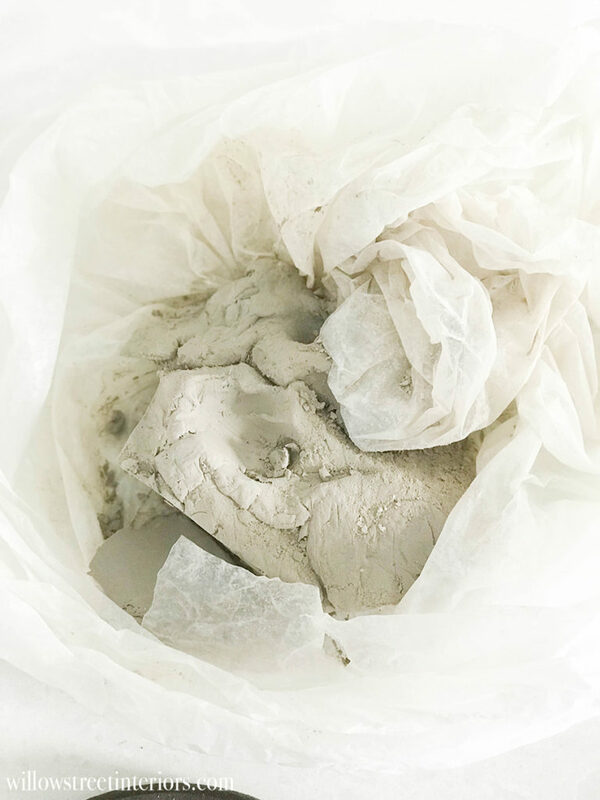 This modeling clay is really heavy and has no trouble supporting the branch. 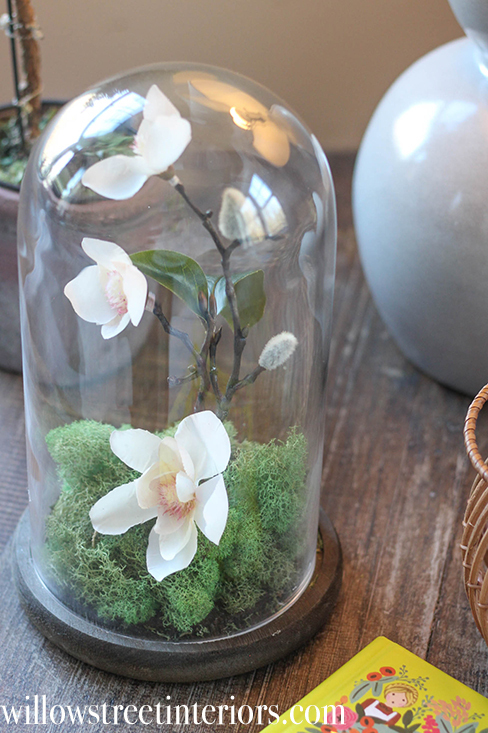 Cover the clay with fake moss from the craft store, put the dome back on, et voila! I told you this was an easy tutorial! 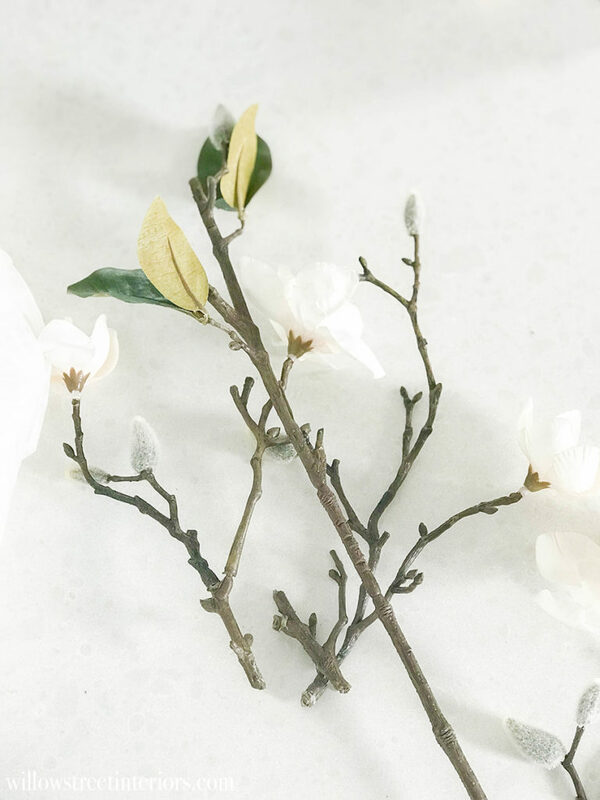 I love how earthy and elegant this arrangement is, and I think it’s perfect for winter too. Hi Laura, I just wanted to drop you a line and let you know that I really love your blog. And especially your style. Its cozy and easy, more elegant than that overly popular farmhouse look but fun! I’m leaving my house right now to buy everything for this! Where did you find the cloche can I ask?